After our interviews with Nathan McCree (Tomb Raider), Rich Aitken (Driver, the games of Guerrilla Games ect. ), We met the composer WeiFan Chang. WeiFan is very inspired by the expressive video game, recently he composed the music of Detention, a pearl of horror coming from Asia. Interview with WeiFan Chang in French. Hello Weifan, first of all thank you for granting us this interview. Before beginning can you introduce yourself? 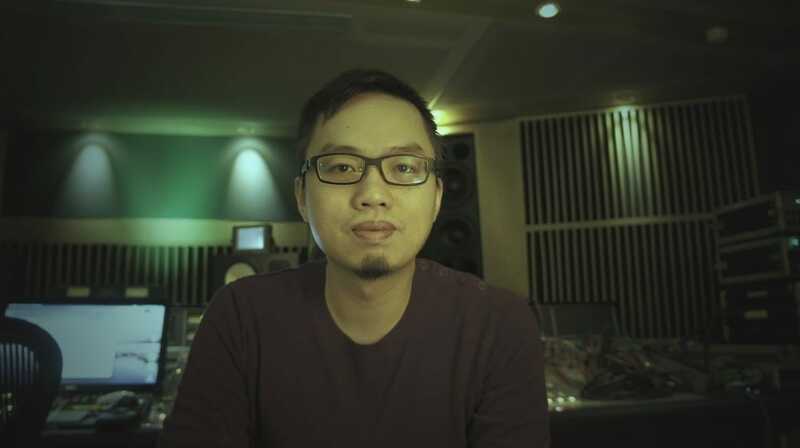 Weifan : I am from Taiwan, and I compose music mainly for games, movies, and TV. My hometown, Taiwan, was ruled by the Netherlands, Spain, and Japan, which are of very diverse cultural backgrounds. Taiwanese culture is also impacted by Chinese and Austronesian cultures. People of my generation mostly like watching American movies and play Japanese video games for entertainment. All these elements influence my works, especially those that are more philosophical, such as my album, Circle of Time, and the game, Detention. We are meeting today to talk about your career as a composer. I propose that we go back together on your career.When did you decide to have a music career as a composer? Weifan : Since I was little, I have always been very sensitive to music. To me, music is like a line drawn on the paper, with ups and downs, telling a different story at every turn. The emotions in music always interest me greatly. Since I didn’t have any musical instruments at home, neither did I have any chance to learn to play one, I could only draw my music on paper, even though I didn’t know what I was drawing. I didn’t have a chance to learn how to play the guitar until senior high school, when I could finally put down the lines and stories on my mind with an instrument and turn them into real music. That was the time I made up my mind, hoping to become someone who can communicate with music in the future. Since 2006, you have composed music for dozens of TV episodes, pc / ios / android games, commercials, and movies. Weifan : Yes, I am more than delighted that I have had the opportunity to work with so many talented game developers and directors all these years. On which media do you prefer to work, cinema or videogames? Weifan : I am fond of fine works with imagination and a good storyline. But if I had to choose only one, I’d choose videogames. In the world of games, there are no boundaries. I do not appreciate being limited while I create, and this explains my almost insane passion forworking for games. Which composers affectionate you the most? Weifan : I love Kurt Cobain from Nirvana mostly because he did not care about performing style or skills. Instead, he fully focused on “expressing” music, which impressed me significantly. It was a shame when I learned that he had passed away. Weifan : When I was a child, Pili Puppet Drama was very popular. In the shows, there was an abundance of Japanese new age music. Besides Pili, Japanese video games were the most important type of entertainment for me and my brother. For musical performance, both Pili and Japanese video games nourish my musical composition. Since I was 9, I have listened to a great deal of European heavy metal music and minimal music, which contents contribute exceedingly to my composing. I know that Tezuka Osamu, the Japanese manga master (Astro Boy), had a great influence on your work. Weifan : Yes, I have read his comic books since I was young. His stories about the concept of love, space and time in his works formed something similar to a structure. This structure, together with my own experience, caused a profound impact on my music. I am not a fan of empty or meaningless talk or games, so I hope in my work, there is a story and a meaning. Just like the stories told or the world expressed by Tezuka Osamu in his works. By the way, recently I have come across a game, That Dragon, Cancer, and I absolutely adore it. This is not a hitting or killing game. In this game, the player experiences how a father accompanies his own kid, who has cancer, in facing life. If only I could work for such an amazing game. If that happened, it would fulfill my most wonderful dream for the moment. Suspense and horror are your favorite themes? Weifan : Suspense and horror are one of my favorite themes, but what I revel in is a meaningful horror game with an intriguing storyline such as Detention, rather than some horror games that are just purely revolting. In Taiwan, there are many forums discussing the textual research of history and background of the time and space the game is set on. Backed up with actual incidents, games like Detention are the kind of horror games that I appreciate the most. Besides, you composed the music of the game Detention of RedCandleGames. What can you tell us about this? Weifan : Horror can be done with skill or in a plainly cheesy way. What makes Detention a great horror game is that the designers don’t just toss flesh and blood at you, but they show you the way into that specific time and space, which leads you into the real horror in your own mind. The true horror is never a ghost appearing in front of you; it is rather when you realize that you cannot face yourself. I started working with RedCandleGames in 2015, when Detention was nothing but a simple demo. As the game was set in old times, the world’s outlook was different from the modern world, so was the game. At that time, I found that what RedCandleGames intended to deliver through Detention was thought-provoking, so I agreed to work with them to complete the game of our dreams. For the music, I added in lots of Lo Fi, sounds of classic musical instruments of both the east and the west, and some elements of post rock. To make the score consistent with the world’s outlook, I also sampled sounds related to death and hell in the eastern culture. What I wanted to create was the unique ambience wholly dedicated to Detention, so the players could enjoy the one and only music. I spent 17 months creating the score for Detention, from the very first piece till the last one. The game itself was revised hugely by RedCandleGames. To one point, they even redid everything in the game. Finally, the game was officially released this January. Few days before the release, Detention was ranked globally top 6 on Steam Top Seller, and the original soundtrack drew a lot of attention. Many people told me they loved this game and the original soundtrack. All that thrilled us. Weifan : Yes, playing video games is what I love the most besides composing music. I used to love strategy, management and simulation games but now I’m quite busy at work, so I prefer playing some no-brainer action games. Take Dynasty Warriors for an example. It’s my favorite game to play when I have time. Playing games is like living a second life to me. Sometimes when I work, the muse won’t come to me, so I turn on GTA. In the game, I can grab a car and just drive wherever I want to. It feels just like I am driving on the street in the real world. If the muse doesn’t come to me, I drive to her. I am grateful with all my heart to god that as a music composer and a gamer, I can put my music and games together. I consider myself really lucky. What is your best memory of gamer? Weifan : When I was young, my brother and I bought a Super Family Computer together and we hid it above the closet. Whenever my parents went out, we would set it up as fast as possible, and then play games happily while paying close attention to the door, just in case mom and dad came home earlier than expected. That was such a wonderful memory. We are fans of Hideo Kojima’s Metal Gear saga. With MGS5, we discovered Ludvig Forssell, today Composer, Audio Director at Kojima Productions. Do you know him? Weifan : Yes, I know Hideo Kojima. His works are fantastic! I think the part of his music which he (Ludvig Forssell) mixes with electronic music is very powerful and modern. I am greatly inspired. Recently, you have released the album Circle of Time. We find all the influences –the style of the American film music with the Japanese elements. Weifan : Allow me to talk about this album, Circle of Time. In fact, I didn’t set any boundaries when I worked. If I had to categorize the music, this album would be closer to a game score. It is a game score without an actual game, or a movie score without a real movie. I wanted to write a story and interpret it in my own way and style. I was deeply moved; what’s more, I hope my music resonates among others as well. The theme expressed in my music is time. The inspiration is based on a real cult incident in the history, the People’s Temple. My theme is very direct: no matter how dark it is, there is always hope. In fact, both Circle of Time and Detention are the reflection of my own style. I like the emotions delivered by strings, and I also love expressing the extremely lonely fear with noise and Lo Fi. I worked on those two works simultaneously, and the motifs are resembling. The only difference is that in Circle of Time, more feelings were shown, while in Detention, I focused on creating the ambience in accord with the storyline. Is there a particular movie or game for which you would have liked to be in charge of? Weifan : I’d love to score for games such as That Dragon, Canceror or Everybody’s Gone to the Rapture. Both are short games but they teach us an enlightening life lesson which I find absolutely amazing and this is what I want to do. Weifan : Currently, I am working on film Lucretius, a very interesting movie which talks about people exploring limitlessness. I like the storyline a lot. This is the first time I have worked on an interstellar subject and it is really exciting for me. For this year, two game scores are scheduled: the first one is a newly-developed game by RedCandleGames, the same company that produced Detention. When Vincent of RedCandleGames told me about the story of the new game and asked me if I’d score for them, I felt like the luckiest person in the whole world because this is exactly what I want to do, this is everything I want to deliver through my music, and I told them I would score for them. The tone in the new game is very warm-hearted. I also invited Interestring Quartet, the string quartet that has won many grand prizes, to play the main score. The game is estimated to be released this year, and I believe it will be an awesome game. You’ll love it! The other game is Asaku. This is a captivating project. Actually, more than ten years ago, Asaku was a well-liked manga in Taiwan. Due to many reasons, the author didn’t finish the series. So many people had been waiting for the ending all these years until last year, the author declared that he would put an ending to this work, but not in the form of manga. He would complete his story by using software, RPG Maker. When I first heard about his plan, I was pretty surprised. But later I thought, the point of the game is all about the story the author wants to tell and what he/ she wants the players to experience. The splendid animation and special effects are not as important, so I also consider it a way to take us back to the basics of the game. Fascinating indeed. At the moment, the theme song of Asaku is finished, Genesis for King, and it is made known to the public. The theme song was the brainchild of JerryC, a famous Taiwanese pop music producer, and me. We are both very excited about this! The main theme of the game is completed as well. This time, I invited Jan Sanejko, a Polish famous movie composer, to orchestrate, and we also worked with many brilliant musicians and mixing engineers. I believe you will love it! There are some other opportunities which officially have not been disclosed yet. When the time is right, I will make an announcement. We are at the end of the interview, thank you again for all Weifan. Weifan : Thank you very much. It is my pleasure to share my thoughts and works with you all. Interview by Thomas O. for Eklecty-City.fr, who thank WeiFan Chang for having lent the game an interview.